– Collect 25 or more items and at least $10.00 in product or $50.00 worth of items of new or used inkjets & toners or laptops on the price lists. 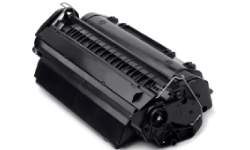 – For Example: 15 Inkjets + 5 Laser Toners + 2 New Unused Laser Toner + 3 New Unused Inkjets = 25 Or more Combined Items and $10.00 or more in product in 1 box using 1 label. Use a sturdy box appropriate in size to the product you are shipping and fill box completely full with product and packing material. Box size not to exceed 75 combined inches when adding. Longest part of box not to exceed 48 inches. Package should weigh no more than 65 lb. Use the CURRENT MONTHLY Qualifying Price List to qualify your order and pack using the shipping requirements. When sending more than one type of recyclable, try packing the smaller items in a separate container inside your shipping box to further protect from damage. Use newspaper, bubble wrap, or light-weight packing material to protect your shipment from damage because we cannot pay for damaged items. Use packing tape to securely seal the shipping box. Attach one pre-paid UPS shipping label to the outside of your shipping box. Place box in your regular UPS pick up area or deliver to any UPS drop-off location and request a receipt. Please disregard the 6 lb. weight on label. UPS will reweigh the package. DO NOT call UPS to have your shipment picked up as there is a mandatory fee which will not be reimbursed or waived.